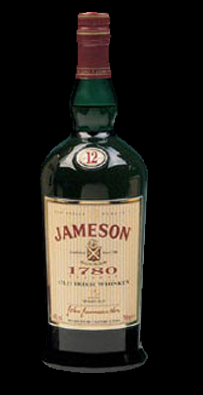 In 1780, John Jameson founded his own whiskey distillery in Dublin. Only the finest barley and crystal clear water from richly productive regions of Ireland are used. These natural ingredients go through distillation exactly three times to create a natural, smooth whiskey, which we call "the Jameson!"